This week I am grateful for sleep. The last few weeks I have been walking around in a daze. Like a zombie. Zoe has been up early most mornings, and some nights a few times during the night (this is not normal for her) I have also been having trouble getting to sleep at night, there has been so much going on in my head. My mum is such a good egg, she stayed over last Saturday night, and got up to Zoe (at 5am!) and also Abbey who woke up not long after. I had an amazing nights sleep, got up at 7am, fed Zoe, had breakfast, and went back to bed for 2 more hours - I felt like a new person after all that sleep. I have been making sure I get to bed at a reasonable hour each day since, and the zombie feeling is gone. I am still tired, but not the zombie tired, there is a big difference. I am also grateful that Chris got a last minute flight last night and arrived home this morning. So another long weekend with him. We are a family again for 3 glorious days. I am grateful he works for an airline (no, he is not a pilot!) so he is able to come home and see us often. 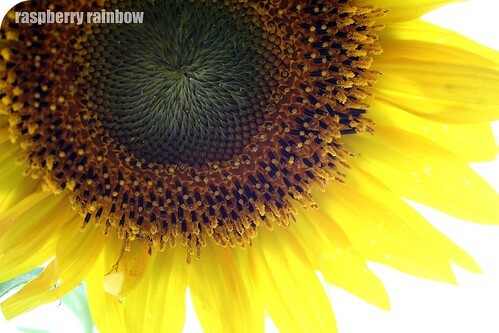 Finally, I am grateful for beautiful sunflowers. I bought two for us, and two for my mum last week. They inspired me to get out my proper macro lens and take some photos. I love macro photography and being able to see the world from a different angle. Pop in and see all the lovely gratefulness over at Maxabella Loves. Your mum is such a star!! Enough sleep can make the world all that more sweeter. Glad you got some! Sleep is truly a wonderful thing. The Dalai Lhama says it's the key to happiness and I agree. Sleep and the lack of it is so all consuming when our little ones are young. My sleep habits are still messed up (hence, here I am at almost midnight). Love the macro shots - beautiful detail. Speaking of sleep....I think I need some now. Love your blog! So pleased to meet and follow you! 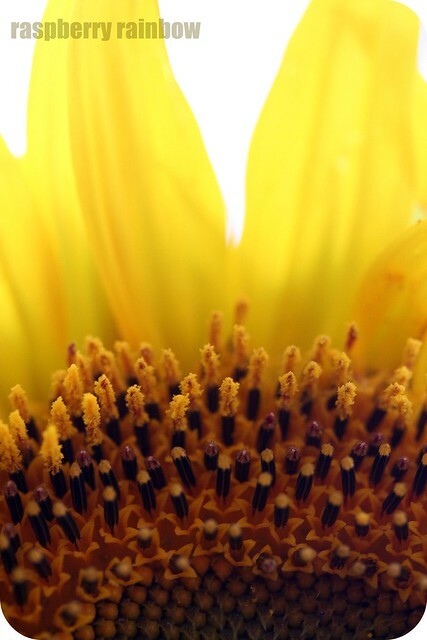 Georgeous photos of those magnificent sunflowers. Spectacular. I am grateful for the chance to see them. Thank you. Hope more sleep comes your way. sleep! so important, so simple, so valued! Great thing to be grateful for! Great list.. I can so relate to the zombie state!! hope you get some sleep soon, mummys are always the ones suffering sleep deprivation. Oh sleep....glorious sleep...oh how i've missed the beauty of sleep too! I'm usually a buzz of caffeine....my coping mechanism with a sleepless 3yr old! And Cat...I LOVE that sunflower photo....STUNNING!!!! Ah..sleep. It's just the best and I love how all these comments echo that! Glad you are back from the zombie no-sleep! The photograph of the flower is just breathtaking. Lovely blog you have here! I know the zmbie state only too well. Sleep is such a luxury. Oh the zombie state is something I know all too well! I think I lived in it for the last 12 months - not fun! Thank goodness for Mums - no way I'd cope without mine! Sunflowers are the perfect pick me up flowers. I regret not planting any last year as I'd be enjoying them now every day if I did.